Salut! 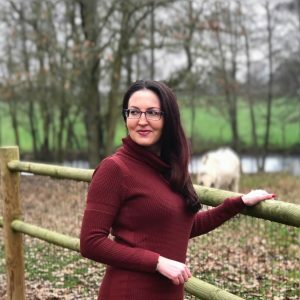 First a little housekeeping: As you know (since you’ve already taken it… I’m really surprised more than a handful of you took the time, THANK YOU!) 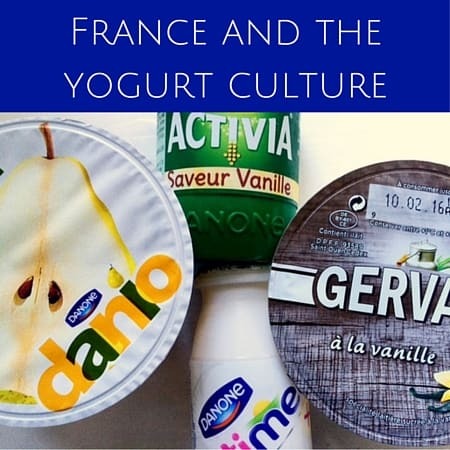 my first Oui In France blog survey is open and I’d love your feedback if you have 2 minutes. I also have a Clara en Provence giveaway open right now that’s free to enter and open to my readers worldwide, so go hurry up and enter! When Tom saw me organizing all my little glass yogurt pots the other day (that I keep because they’re too cute to trash), he asked me if I was going to make a yogurt cake. I had no idea what he was talking about, so he explained how a French yogurt cake is a simple cake — like a less dense pound cake — that you make by using the yogurt container as a measuring cup — and voilà, a yummy goûter. He used to eat them as a kid and pretty much every French person knows what they are. French yogurt cakes are as commonplace in French households as Betty Crocker would be to an American, so whether you’re French or not, try whipping up a simple gâteau au yaourt if you’re craving something sweet. It is seriously simple. Promise. 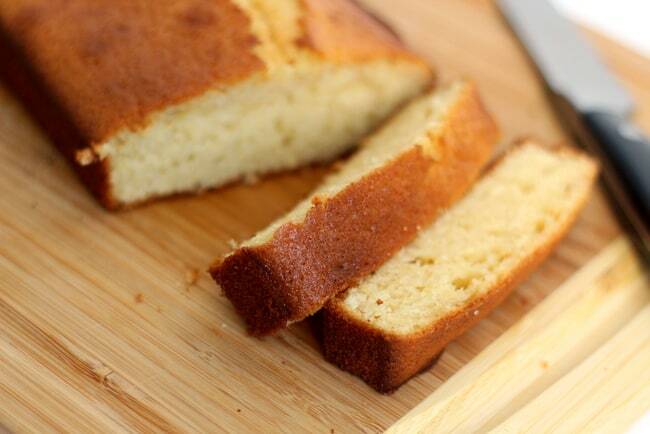 Here’s a basic French yogurt cake recipe! There are recipes all over the web on how to make French yogurt cakes that are actually quite complicated with measuring cups and less common ingredients. No need to complicate things here! By using a measuring cup, you’re taking the fun out of it because the little container works just fine. Just grab any single-serve yogurt and let the container it comes in dictate your measurements. The ratios are what’s important so don’t worry about what exact size your yogurt cup is. As long as you’re using the same container for the whole recipe, it’ll work fine. For this receipt I used a 125-gram container, which is about 4.4 ounces. 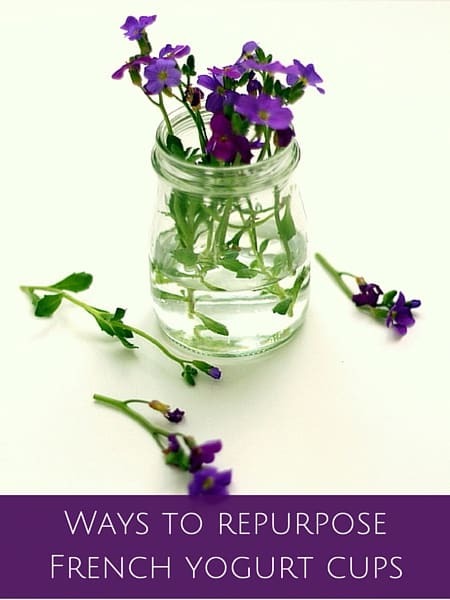 Be sure to save the container once you empty out the yogurt (that’s the whole point!) to measure out the other ingredients. One of my favorite parts is that you have one less thing to wash since you trash the container once you’re done. Win-win! So what’s in the gâteau au yaourt? There’s yogurt of course, along with the other main ingredients: sugar, flour, oil and eggs. What kind of yogurt? Totally up to you. I used vanilla full-fat Activia in the cake pictured here because that’s what I had in the fridge, but use whatever you like or have on-hand. That’s the fun of it! Generally, creamiest yogurts work the best so anything 0% fat may not make a good cake. After preheating my oven, it took about 3 minutes to whip up (washing the dishes not included). Another reason I like this is because unlike cakes you make from a box, you know exactly what ingredients are in this cake. No industrial garbage! It’s light, fluffy and moist. Quick note on the flour: I used regular French flour which is Type 45. It’s a softer wheat than traditional American flour. If you are getting wonky results with all-purpose, try with pastry flour instead. First preheat your oven to 350 F (180 C) and grease a medium loaf pan (mine was a 10-inch pan). 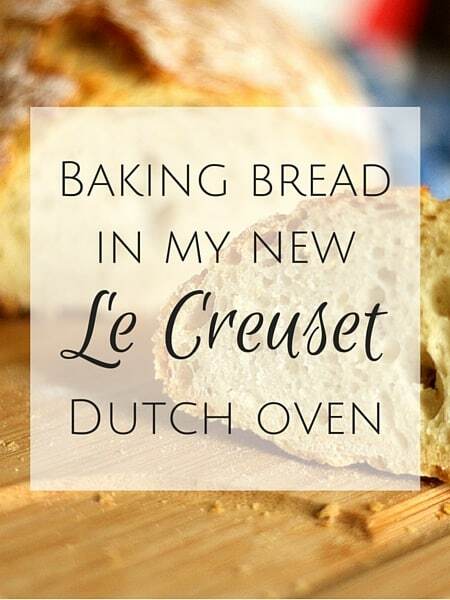 You can use butter, shortening, or baking spray. Empty your yogurt into a large mixing bowl and add all of the ingredients except for the oil. Mix well with a whisk so you smooth out any lumps. Then add the vegetable oil and whisk until combined. 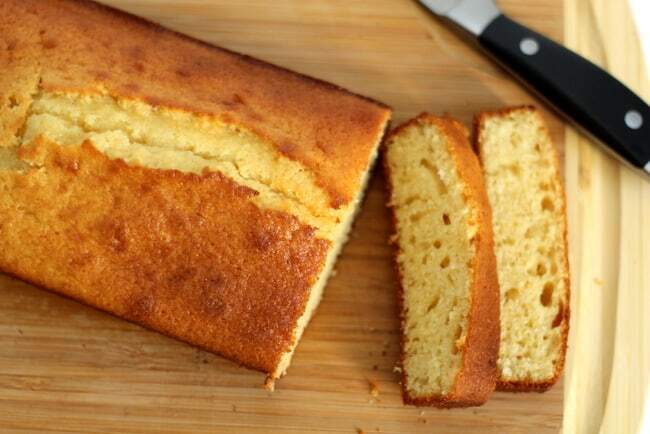 Pour into your loaf pan and bake for 25-30 minutes until the top of the cake is golden brown and a knife or toothpick inserted into the center of the cake comes out clean. Depending on your pan and oven, that cooking time may vary so keep an eye on it! 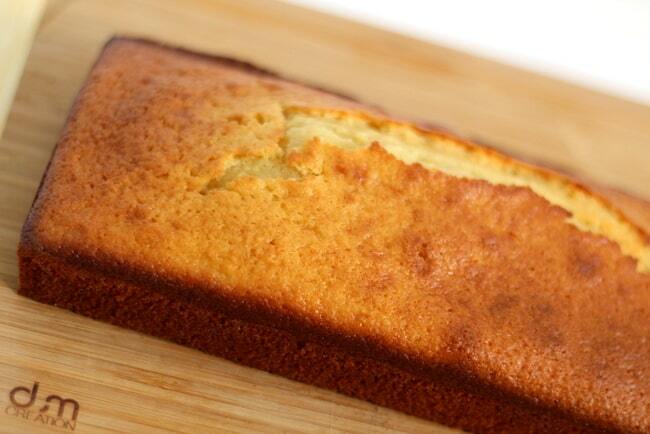 Let cool, run a knife around the edge of the cake to loosen it from the pan, slice and enjoy! That’s it! 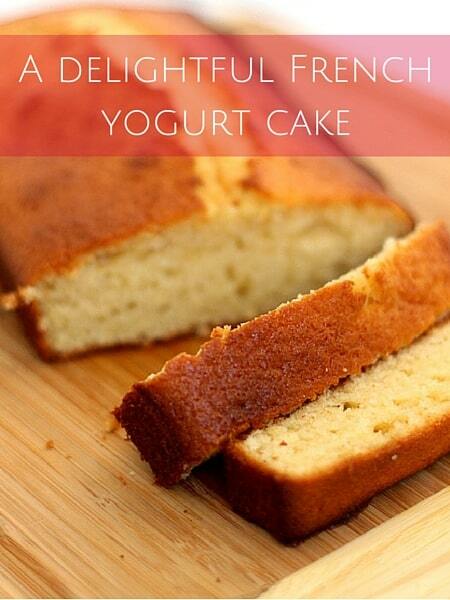 My fave way to eat a French yogurt cake? 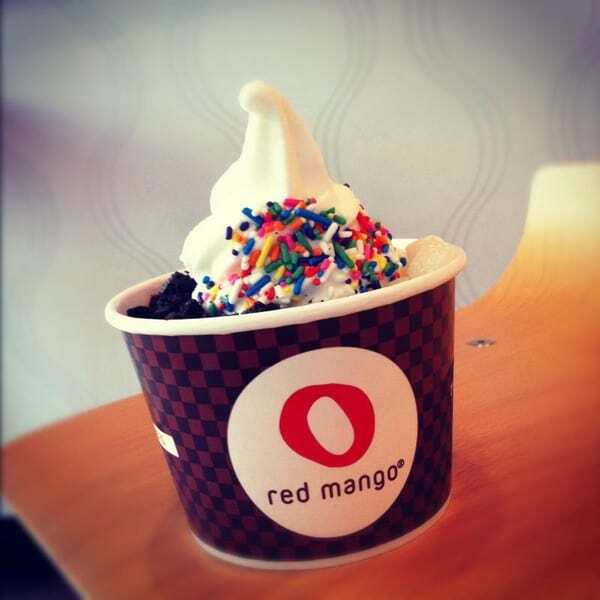 With fresh fruit and whipped cream on top! But it’s great plain as well. Or with ice cream or Nutella or jam. Do your thing! Add a mix-in to the batter before baking like nuts, chocolate chips, sprinkles or fruit (or citrus zest). 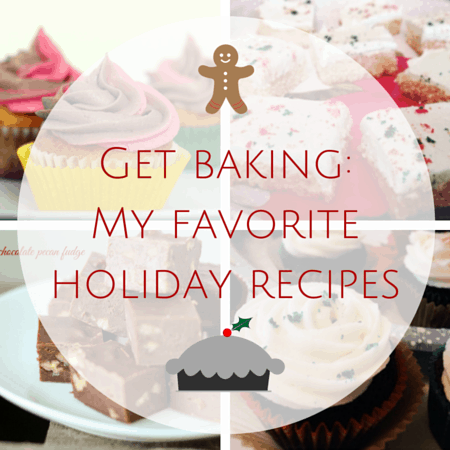 Adjust ratios of ingredients if you want a sweeter/less sweet cake. Bake in a Bundt cake pan or other shape. Just note you may have to double the recipe depending on the size of your pan. Try with another type of sweetener such as brown sugar or honey. 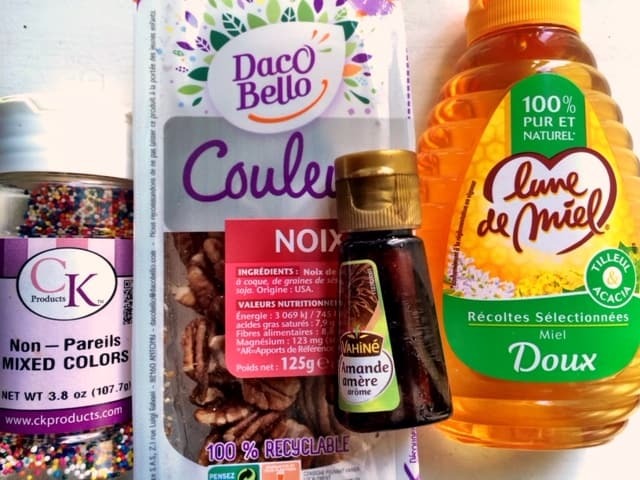 Try with another extract such as almond or orange. Is a French yogurt cake something you’d like to try? For being so simple, it’s quite tasty! Ahah un gâteau au yaourt ! Very easy to do and a pleasure to eat. you can try a “marbré”. You cut the batter in half and in one half you add melted (bakery/desert) chocolate. Then in the cake pan you add alternatively the 2 half-batter. Excellent additions, thanks for the ideas Lionel! I love marbré so I’ll have to try that next time. That cake pictured was gone in 2 days! The beauty is in the simplicity! No mixer needed. Thank you! Yup, love desserts that don’t require an electric mixer! I tried this with Greek yogurt and failed miserably! It was too thick to even consider baking in the oven. Luckily, there was other yogurt in the fridge and enough ingredients. Tried again et voila! Yummy! Hi Gina, so the actual size of the containers doesn’t really matter since the ratios are the same. Any single serve yogurt container should be fine. That’s why it’s so easy, no need to dirty measuring cups. Whether you use a larger or smaller container, as long as you’re using the same size container for the whole recipe, the ratio is going to be correct. As long as you’re not using a 2-liter soda bottle or something huge, it’ll turn out fine. Hope that makes sense. The one I used for this recipe was a 125 g Danon container, which is about 4.5 ounces.